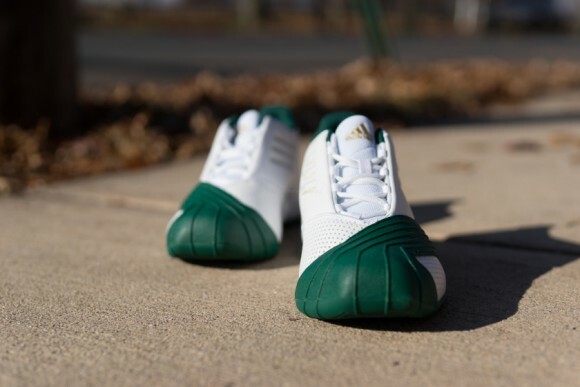 Packer Shoes and adidas are back at it with an Akron Ohio St. Vincent-St. Mary High School PE. LeBron’s varsity team was officially sponsored by adidas and could be seen playing in a few different models from adidas’s basketball line. 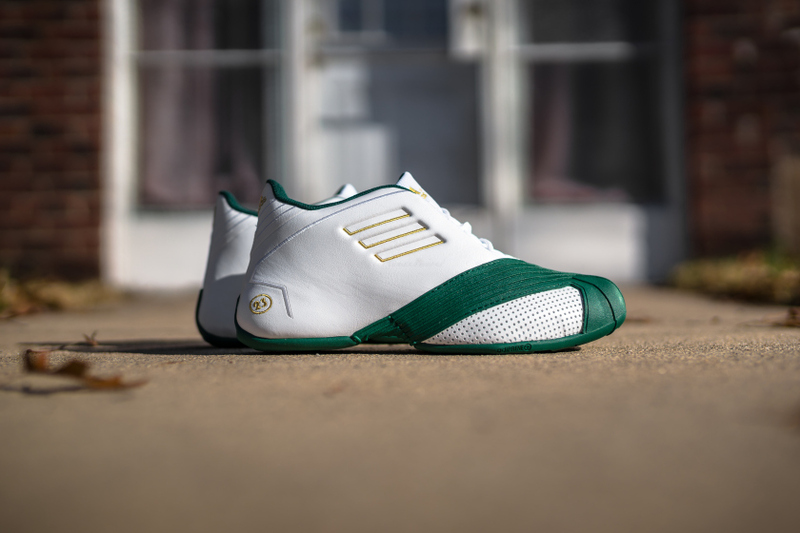 Originally re-released in January of 2013 at Finish Line, the adidas TMAC 1 ‘SVSM’ PE is back as a Packer Shoes and Next exclusive. 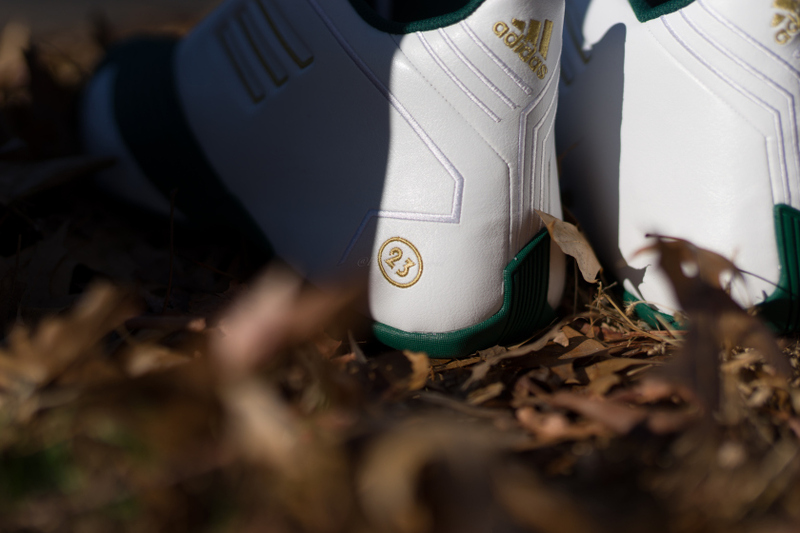 It features the same price tag as its first retro, $110, and rocks the exact same build: white leather upper with a green synthetic wrap and gold adidas branding on the side panels, heel, and tongue. 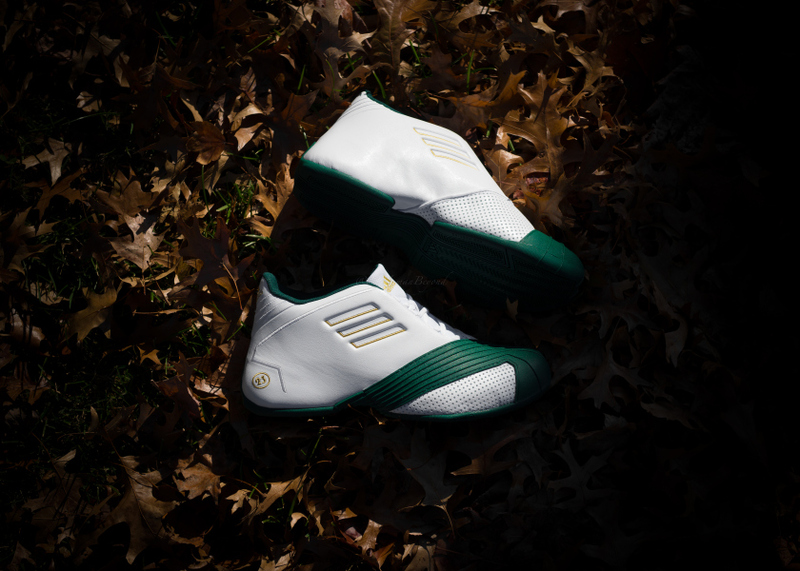 The Packer Shoes x adidas TMAC 1 ‘SVSM’ PE releases in extremely limited quantities this Saturday, December 6, at 12AM midnight EST on Packershoes.com and at 12PM noon EST in-store. This latest adidas gem will also be available at Ohio’s Next boutique (RuleofNext.com). 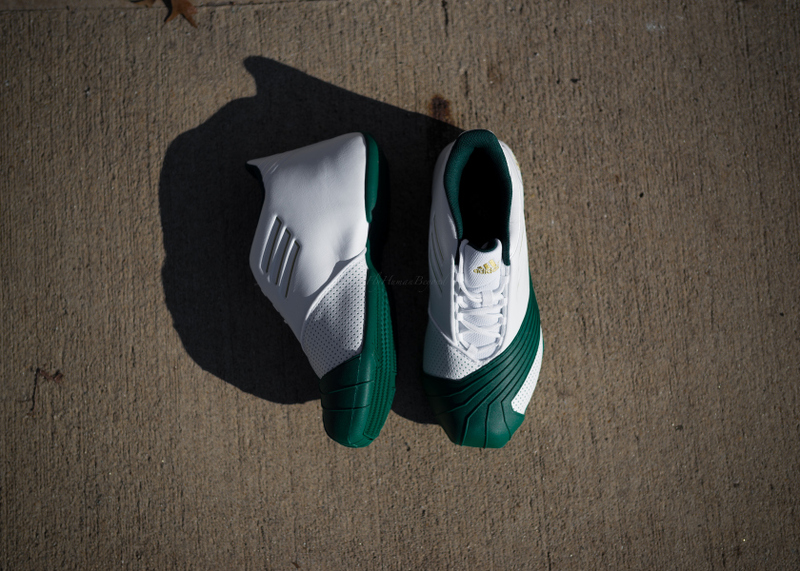 Thoughts on the Packer Shoes x adidas TMAC 1 ‘SVSM’ PE? Share them in the comments below. Love this CW, was lucky to snag the Finishline release through Nightwing and a couple of you guys at the time. Very rare now a days to see a nice non-florescent green on a sneaker, and only $110 especially for a PE. These flew under the radar! I would definitely cop, unfortunately I’m tapped out right now haha just copped some OG filas from the early-mid 90s.